2015 will be a year full of excitement. Sportsmen's Outreach has expanded into several new areas in the past few years. We are continuing our fishing tournament schedule, wild game banquets, speaking schedule, prison ministry, police chaplain ministry, mission trips and NASCAR events. It's through your faithful support that Sportmen's Outreach could make a difference in Los Planes. Consider making a donation online today with the "Donate" button below. We'll continue to plan mission trips like Los Planes to be the body of Jesus Christ in this world. Get ready for our 2015 mission trip to Los Planes. We'll be working in 3 other areas as well. Santiago, La Paz and Puerto San Carlos. Get all the details here! 2015 will be a year full of excitement. Sportsmen's Outreach has expanded into several new areas in the past few years. We are continuing our fishing tournament schedule, wild game banquets, and speaking schedule. 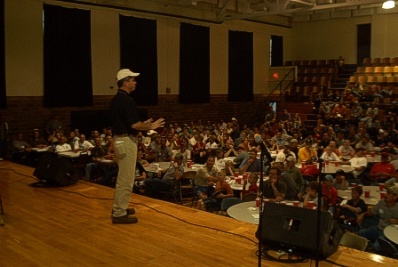 Wild Game Banquet - Blair, NebraskaEach year Glenn speaks at 20 wild game banquets. These banquets are a great way to reach people. Glenn does a fishing or hunting seminar at most banquets. This is a great way to learn some of the latest techniques and see some of the products that the pro's use. The meal consists of buffalo, alligator, elk, venison, fish and other items. After the meal Glenn shares some of his outdoor experiences along with his personal testimony of faith in Christ. Glenn got his beginning in fishing from Red's fishing lake when he was a young boy in Greenville, SC. You could pay Mr. Red $1.00 and catch all the catfish you could carry home. Glenn has been fishing full time since Jan. 1998. 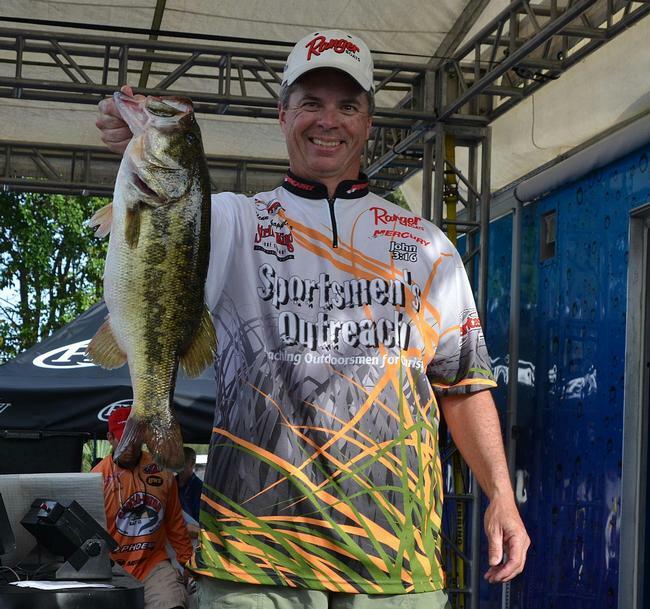 He currently competes on the FLW Tour ( Forrest L. Wood, founder of Ranger Boats). This trail has a total 10 tournaments along with a championship. You can keep up with Glenn by going to www.flwoutdoors.com. For more information on how to host your own Fishing Tournament outreach event, please review our Fishing Tournament Outreach document. Glenn is not doing any hunting or fishing trips at this time. Please check back later. Glenn has a passion for Prison ministry. Each year he does several speaking engagement with Forgiven Ministries. He also speaks at other prison facilities while he travels across the country. While at home he also conducts several programs at the local prison in Georgia. Sportsmen's Outreach has grown to include local and international mission trips. The trips consist of conducting Vacation Bible School, Planting Churches and Construction. Other mission opportunities include some street ministry in downtown Atlanta. Glenn has been a police chaplain for the Cobb County Police Department since 2006. He works with over 100 officers each month.